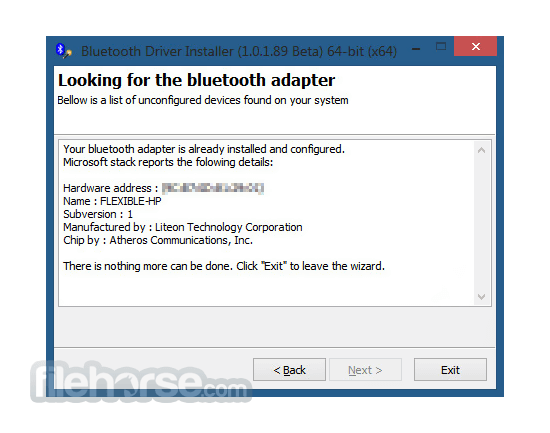 Bluetooth Driver Installer small freeware utility will try to install generic Microsoft driver for your bluetooth adapter. The program is based on a widely known method of patching %WinDir%\inf\bth.inf file. Detect & update more rare, mismatched and outdated PC drivers with 1-click. Download Driver Booster Pro! Before making changes to your system the program automatically creates a restore point. If anything goes wrong you can use Windows System Restore feature to revert all changes made to your computer. Bluetooth Driver Installer is a small tool that you can use when your device is not detecting a Bluetooth connection!